Short History of Careful Painting – Part I | Careful Painting, Inc.
After graduating from Stillwater High School in 1979 I sought work in Minneapolis for the summer. My cousin Jim Grathwol and I found employment in the roofing trade until our employer walked off a roof. I returned to Stillwater and was hired by Marv Richert of Richert Decorating. 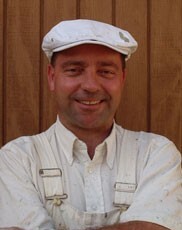 Later I worked for the Cub Foods painting crew, for Chandler Exhibits, and for Bill Weed in Northfield. 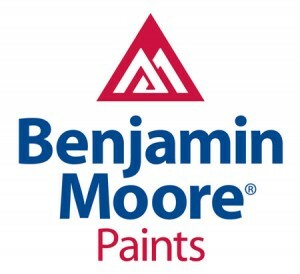 The name Careful Painting was registered by the Minnesota Secretary of State in 1984. The name comes from a section of Martin Heidegger’s “Being and Time” in which care–or–Sorge–is identified as the most essential characteristic of human being. For about two years I read Heidegger and painted in the summers while attending Carleton Collegein Northfield. In those days an interest in continental philosophy was required for summertime employment at Careful Painting. My partner Peter Henry enjoyed discussing the finer points while hanging from gutters, swatting bees, and painting windows in Northfield and the St. Croix Valley for several months over the course of two summers. Peter succumbed to an allergy to alkyd paints and moved on into a successful career in education. He is remembered today for his Plymouth Fury–a former police car–which we used to haul our forty-foot ladder.